Kids really DIG building and creating! I love to try to find ways then to add STEM activities. We just finished our first grade FOSS kit Pebbles, Sand, and Silt so it was time for a STEM connection! We learned about Paleontology and Fossils and now its time to build our own dinosaurs! 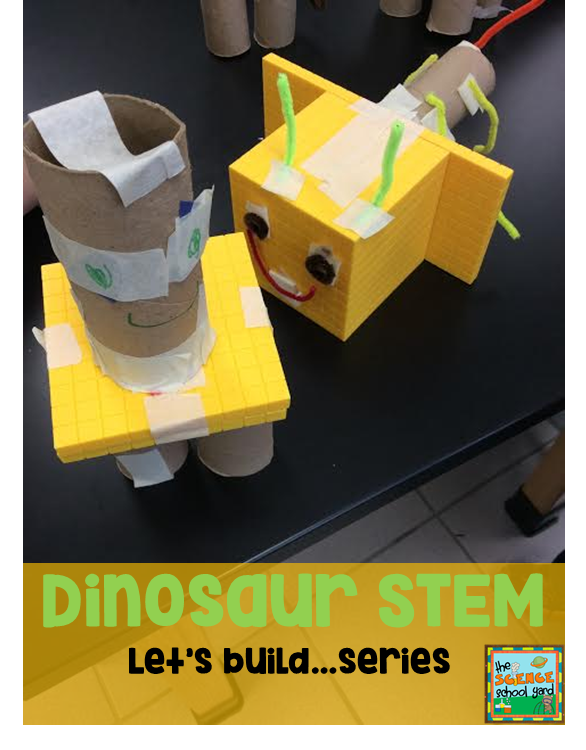 Let's set up a STEM lesson to see how easy it can be for you, too to add some STEM to your day! First, Grab a Picture Book! I started with this great interactive book where we get up and do hand motions for each of the pages. 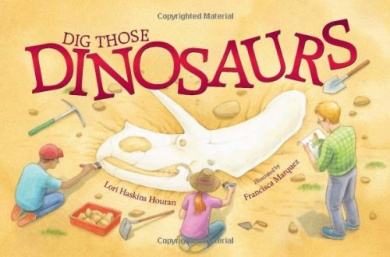 Dig, dig, dig those dinosaurs...This is a quick book to get them remembering what Paleontologists do as well as what a museum looks like! Next, I ask them a question to get them thinking. I asked them what types of characteristics did dinosaurs have that helped them survive when they lived on Earth? We made an anchor chart that helped us write our ideas down before and after the book. We are going to take a look at another book that will help us see the adaptations that helped both herbivores and carnivores survive. 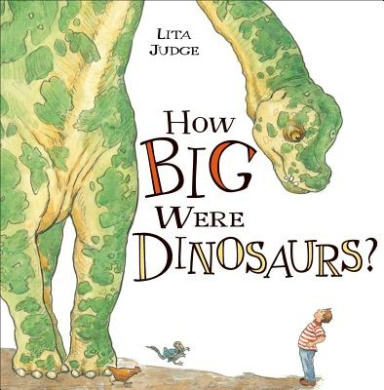 This is a great book that shows how dinosaurs were different sizes and how they compare to animals that they know. I make sure that they are constantly looking for ideas to build their own dinosaur. It also shows how herbivores and carnivores lived as well as how they defended themselves. The students are able to see the spikes, clubs, plates...to add to our list of adaptations. I share with them the supplies that they can use to make their dinosaur. 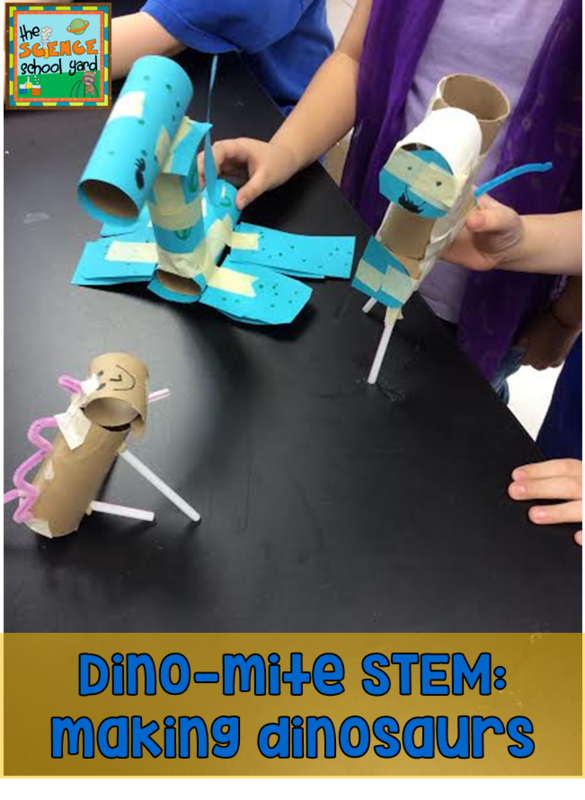 I ask, "can you see how to make a dinosaur that has legs to stand on and ways to protect themselves or survive? Remember all the adaptations that they can have." I show them toilet paper tubes, cubes, ten frame, 100 frame, and 1000 frame blocks, masking tape, construction paper, and pipe cleaners. Once you share the items and your anchor chart list is complete it is time to follow the Engineering Design Process! I send my dear students back to their iPads where they open up their Science Notebook in Explain Everything. They start to design and plan what they will create! Once they have a labeled diagram, they can go to the supply table, get a bucket, and fill it with what they put on their supply list. Now it is time to create! Sometimes they get stuck. I try not to do anything for them, but I do give them ideas to try. I really want them to problem solve! When time is almost up, I let them know it is almost time to share. They must share what items on our anchor chart they incorporated into their design. This gets them thinking about the list again which helps them remember what adaptations are. Sharing is a key component to the engineering design model. It allows your learners to put into words what worked and what they could modify. It also is a chance for others to give compliments and advice! This is our favorite part. You can do this with partners, table groups or as a large group. We then set up a museum for everyone to come and see. Kids love learning about different types of dinosaurs...did you ever worry that you said one of the names wrong? Here is a quick video that does a nice job explaining the names and what they mean.